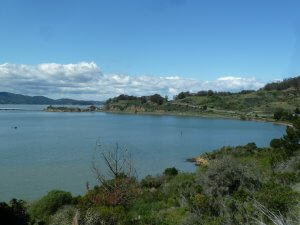 An urgent area CESP is addressing is the effect of sea rise along the San Francisco Bay shoreline. The predicted two meter (6.5 feet) sea rise over the coming decades, along with the increase in storms and king tides, will cause massive erosion, habitat destruction and flooding along our shoreline. Whole sections of freeways (80, 580) will be inundated, beaches lost, lowland communities flooded and habitat destroyed if we do not take steps now. 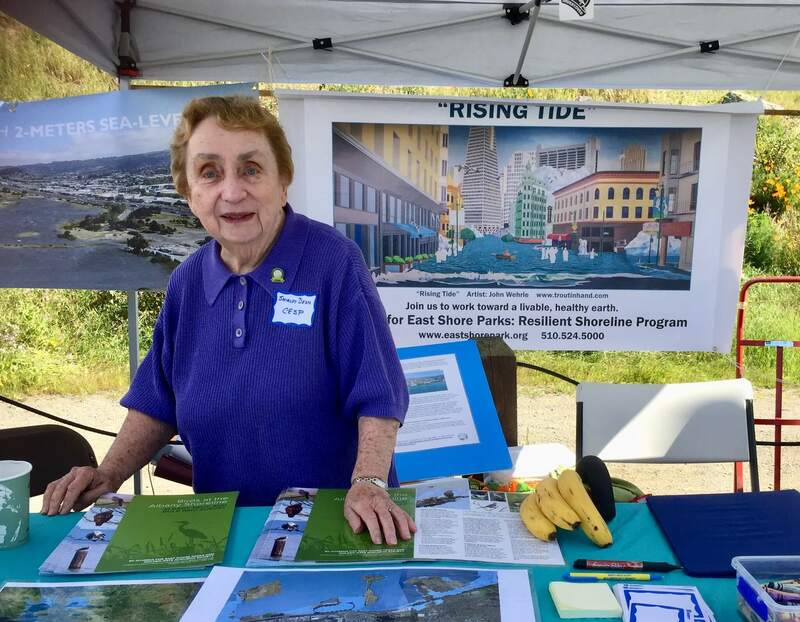 CESP is in the organizing and study stage of addressing sea rise on our shoreline. 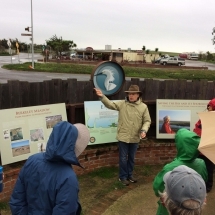 We are working with other organizations and elected officials from Fremont to Hercules, examining practical approaches to green infrastructure solutions that can mitigate sea level rise and prevent coastal destruction. 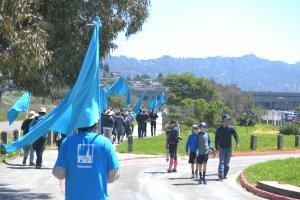 This added focus on a resilient shoreline is a natural extension of our 30-year effort to protect open space and develop a unified shoreline park along the Bay’s eastern shoreline. Climate change adds urgency to expanding the amount of shoreline protected from development. 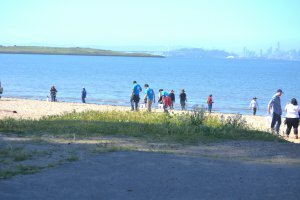 Open space along the shoreline provides expanded opportunities to implement mitigation and larger-scale restoration efforts compared to areas with development abutting the shoreline. Our Resilient Shore Program (RSP) combines advocacy, science, and education to mobilize communities to protect our Bay Area shoreline communities and parks from destruction by sea rise. 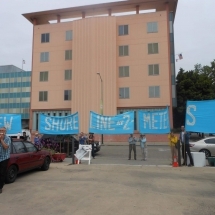 work with shoreline cities to integrate sea rise into land use planning. 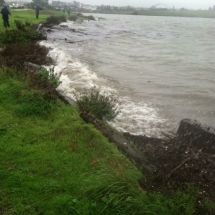 What is a Resilient Shoreline? 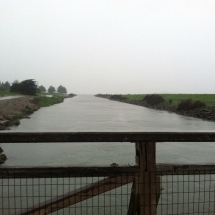 A Resilient Shoreline relies on preserving and strengthening the natural shoreline, including expanded marshes, systems to address rising sea levels due to climate change, storm surges and King Tides. Climate change adds urgency to expanding the amount of shoreline protected from development. 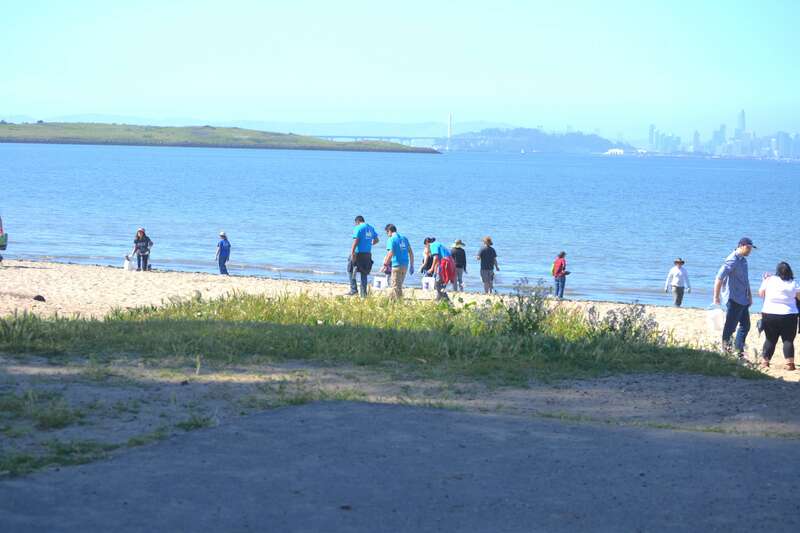 Open space along the shoreline provides expanded opportunities to implement mitigation and larger-scale restoration efforts compared to areas with development abutting the shoreline. Adding marshes and other recommended natural shoreline is a major step in mitigating sea rise. 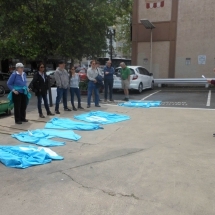 CESP held its largest Visualizing Sea Rise event as part of Earth Day on April 21, 2018. 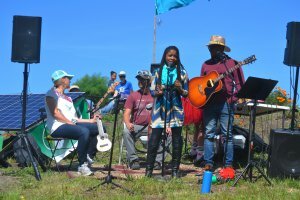 300 plus people were at the Albany shoreline. We’re honored that world-renowned artist John Wehrle has allowed us to use his magnificent painting – “Rising Tide” – in our work on sea rise. His creative vision captures the moment. Sneak peek of a few photos — many more in our gallery! Click here to view the photo gallery. 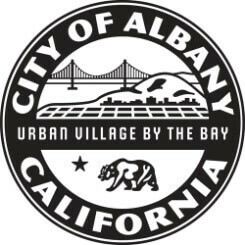 A special thanks to California State Parks Foundation’s 20th Earth Day Restoration & Cleanup presented by PG&E, sponsors of the event, and to our partners, The Watershed Project, City of Albany, East Bay Regional Park District, Clif Bar, and GROUNDWORKS Office. 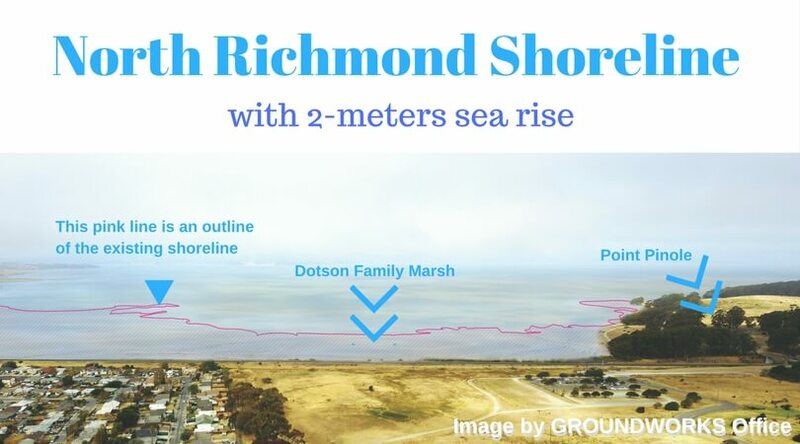 CESP Visualized Sea-level Rise in Richmond during the North Richmond Shoreline Festival on October 7, 2017. 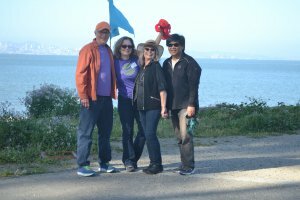 CESP held the second Visualizing Sea-level Rise event in McLaughlin Eastshore State Park, Berkeley on July 29, 2017. 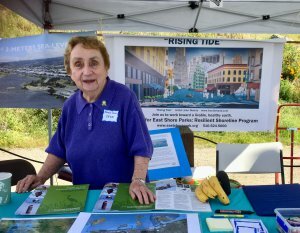 CESP held the first Visualizing Sea-level Rise Event in the Jack London neighborhood, Oakland on April 22, 2017. 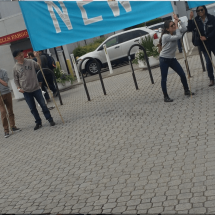 Jack London Square, Oakland with 2-meters of sea-level rise. Image by GROUNDWORKS Office. 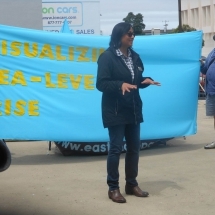 The first Visualizing Sea-level Rise event was a success. 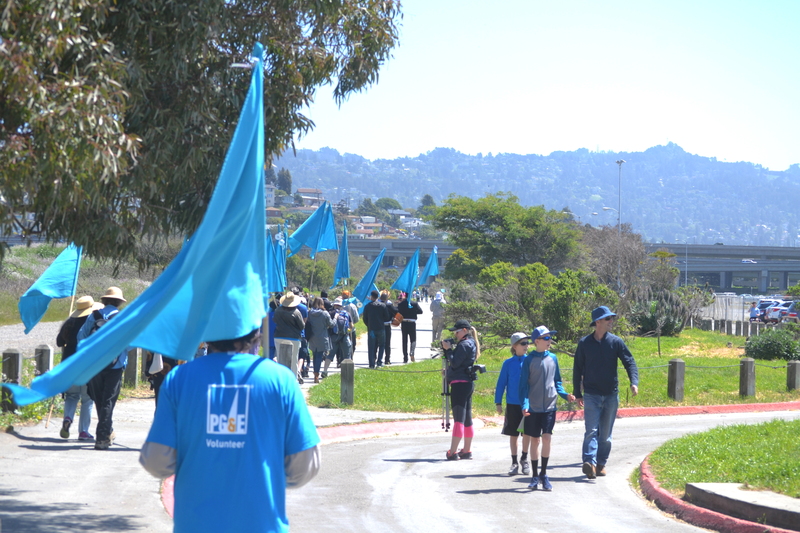 We raised awareness about sea-level rise along Oakland’s waterfront and engaged approximately 30 volunteers. 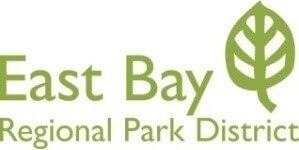 The event was featured on 4 media outlets, KGO-TV, NBC Bay Area, The Pioneer (CSU East Bay’s newspaper) and KPFA-FM. 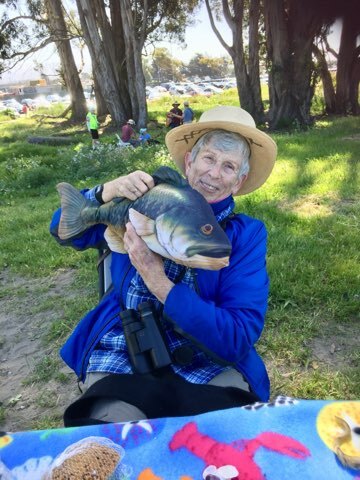 Click here for the KPFA-FM newscast; Robert Cheasty’s interview begins at 9 minutes and 51 seconds. 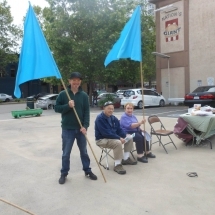 Volunteers gathered at 333 Broadway (Jack London Improvement District parking lot). Robert Cheasty addressed the crowd. Mary Nicely, District Director, Assemblymember Tony Thurmond&#039;s Office, addressed the crowd. 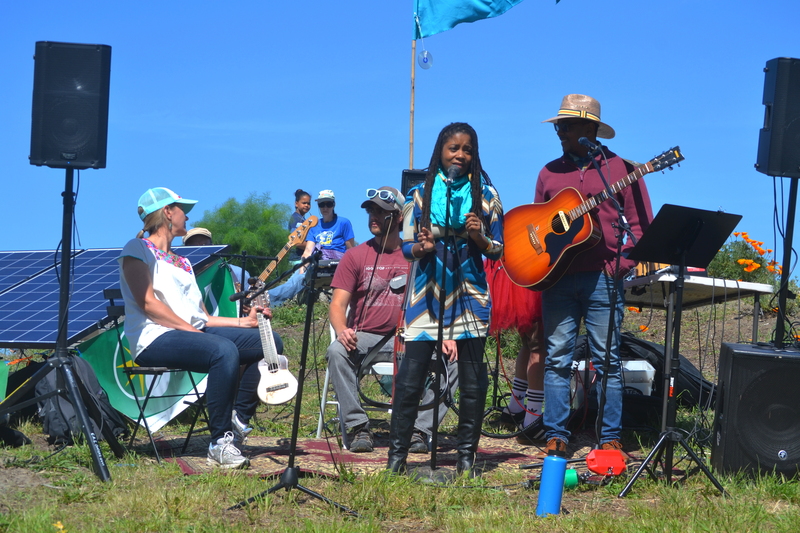 Other speakers included Jeremy Lowe, Sr. Environmental Scientist (not pictured) and Shirley Dean Board President, CESP (not pictured) addressed the crowd. 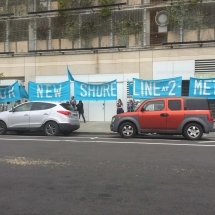 Volunteers lined up in order, revealing the message "Your new shoreline at 2-meters". The Banners stretched along 2nd Street across the Broadway intersection. This awareness project showcases what will happen if nothing is done to address sea level rise due to climate change. 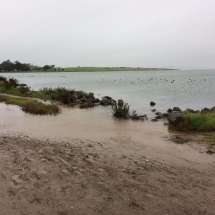 We believe that our cities, counties and the state need to take action now by seeking funding to implement Resilient Shoreline solutions to combat sea level rise. 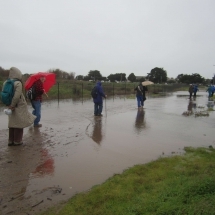 Walkers wade through water intrusion on the north side of the meadow. Photo by Heather Schooler. 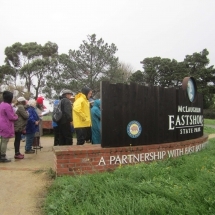 The group gathers at the MESP sign ready to start the rainy walk through the Meadow during the King Tide on 12/15/16. Photo by Heather Schooler. Co-leader Robert Cheasty, CESP Executive Director speaks about the history of MESP and Sylvia&#039;s role in establishing the park. Photo by Ellen Barth. Water intrusion on the north side of the Meadow. King Tide 12/15/16. Photo by Ellen Barth. 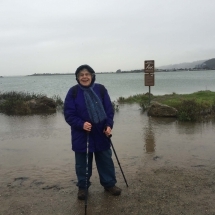 Waves crash close to the Bay Trail along University Ave. during the 12/15/16 King Tide. Photo by Cameron Wilson. 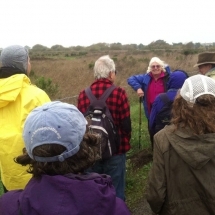 Co-leader Susan Schwartz, Friends of Five Creeks speaks to the group in the Meadow. Photo by Cameron Wilson. 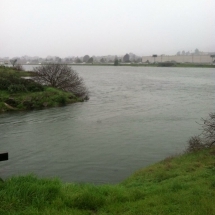 Channel from the Hoffman Marsh during the 12/15/16 King Tide. Photo by Cameron Wilson. 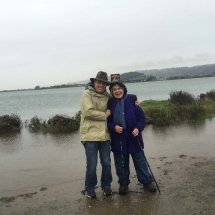 Hoffman Marsh during the King Tide on 12/15/16. Photo by Cameron Wilson. Co-leader Dr. Doris Sloan, CESP Board. Co-leaders Robert Cheasty, CESP Executive Director (L) and Dr. Doris Sloan, CESP Board (R). Photo by Roberta Wyn.